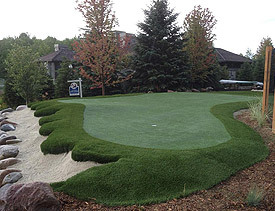 Over the past few years synthetic turf has become prevalent in the Sports Turf Market. 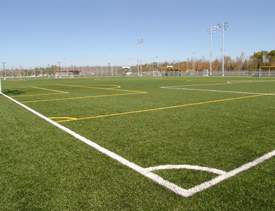 Whether it be Stadium sports field construction, Schools, Colleges and certainly Municipalities, Synthetic turf has grown. Hutcheson ProTurf Infill Sand & Crumb Rubber products have been developed for the various types of synthetic turf that are on the market today. We have the products available for your turf installation, from our dry sand infill material to providing the necessary crumb rubber material, we deliver! Hutcheson Sand & Mixes has the expertise to provide the necessary base materials and/or rootzones mixes for the construction and installation of new natural turf and synthetic turf fields.